We first met Madeline through Instagram a few months ago. She had been following @Equestrian_moms, but one day decided to send us some beautiful photos of her and her (then) 3-year-old riding her horse. She was so clearly an Equestrian Mom we wanted to know more about. As we began speaking with Madeline we discovered that she lives in Germany. 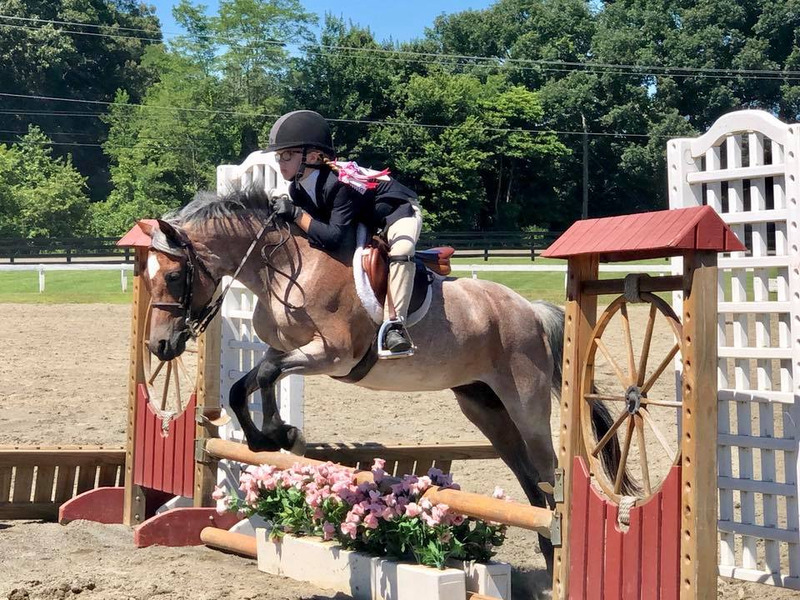 We were able to catch up with Madeline and ask her some questions about how she introduced her daughter to the horse world, her own riding background, and her experience as an Equestrian Mom. When did you start to ride? Did your mother/ parents encourage you to ride? Tell us about your first competition. As a child, do you remember your first fall? Tell us about that. What was the most fun about riding for you as a child? Looking back, what were the most important things you learned from your involvement horses? 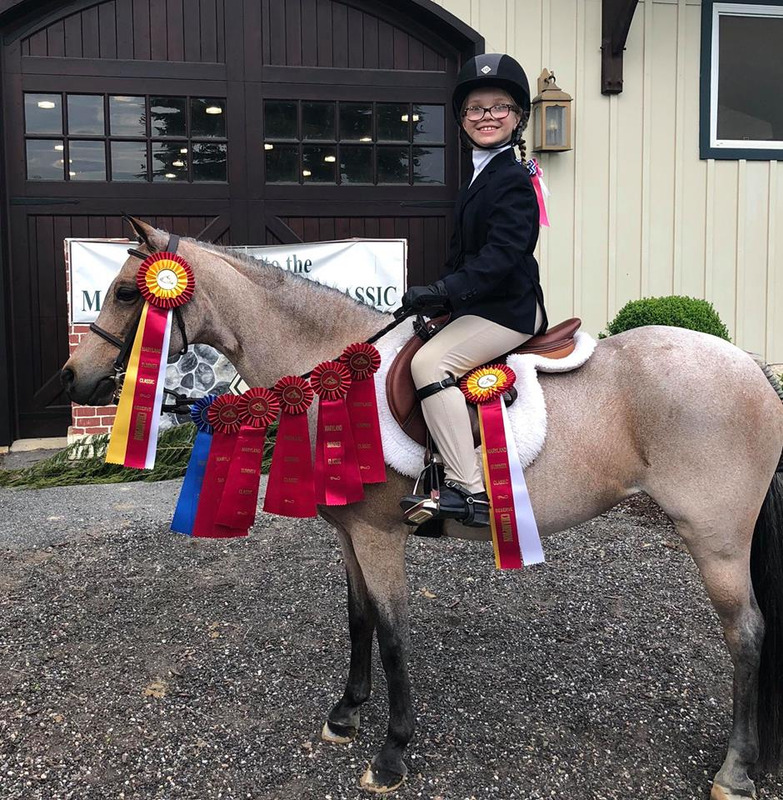 What age did you start your daughter riding? Why did you feel it was important to get her involved with horses? As an Equestrian Mom, what is your best advice for other moms whose children want to learn to ride? We are closing in on the end of Savannah’s second year of showing, and I feel like I have learned a lot (although we have barely scratched the surface of this whole thing). Here are some of the show tips that I’ve learned along the way. First: Horse shows start super early – like in the saddle, in the warm up ring, by 6:30 AM, early. Yeah… not kidding. Might as well roll your kid into the car half asleep and wake them when you get there. It is a really good gauge on how committed your child is to the sport. Second: It is an ALL day affair. You may have a little bit of an idea when your child will show based on the Prize List (it’s like the order of classes), but there is no telling how long it will take to get to their division. It all depends on how many people are entered in each class and how fast the show moves. As you get to the big rated shows it gets better and they usually have a schedule on their website that gets updated throughout the day. Third: You are going to need to bring some stuff with you… for yourself. You will need sunscreen and a hat to protect you – not all places have shaded areas. Throw one of those fold up camp chairs in your trunk – not all places have somewhere to sit. Grab some snacks and drinks – not all places have a concession stand or food trucks. Don’t forget the bug spray! Once you get to know the venues that your barn frequents you will be able to gauge what you need. Fourth: Bring your checkbook. You will have to pay show fees to the facility and they don’t usually take credit cards. These include a flat fee for the office/administrative plus a per class fee depending on how many classes/divisions your child competes in. Some other fees could be for stalls, hay, shavings, etc if you are staying overnight or renting day stalls for the horses. P.S. these are just the fees you pay to the show. Your trainer will bill you for their portion too (shipping of the horse and the show day training fees). Fifth: STAINS! Horses are dirty! Your kid will be a hot mess by the time they are done for the day. I have learned to send Savannah in regular barn clothes and have her change into her show clothes at the last minute. She can’t even groom her pony without getting dirt all over her…. And for some reason most show shirts are WHITE. I don’t get it, but whatever your favorite stain remover is it will become your best friend. Sixth: Braiding – for your child and your horse. So I am one of those moms that never learned to French Braid (well until now that is). If your daughter is under a certain age or rides a pony, they may have to wear their hair in pigtail braids with bows. I knew how to regular braid, but those don’t hold up very well. So, I have now learned to French Braid and it helps tremendously. For some shows the pony may need braided too (not lying… check out YouTube). Their mane and tails get pretty fancy in the hunter world. If you want to save a few bucks in this gig you can learn to do it yourself. Lastly: Packing the Tack Box for shows. I very quickly made a list of everything Savannah would need for herself and for her pony to go to a show. I laminated it and threw it in the tack box with a dry erase marker (yep… I’m that crazy lady). It has helped a ton. She can cross off the items as she packs and we aren’t scrambling for a forgotten spur or glove once we are at the show. It is teaching her responsibility for her things as well. I hope that this helps even just a little bit as you prepare to embark on the horse showing world. It is a lot of fun and I love to watch my little girl in that ring doing what she so obviously loves! My mom has proven to be my number one supporter in all aspects of my life, but especially in my riding career. My mother has been around horses all her life, but has only been an equestrian mom for the last 25 years. Throughout my riding career she has been supportive, has put no pressure on me to win, and has also started not only riding but jumping. Being my number one fan in the horse world meant a lot of things for my mom. She has supported me in many ways throughout my riding career. Whether that meant financially, emotionally, or physically; she’s been there. Through competing in the breed shows, jumpers, and three-day eventing; it hasn’t been cheap. Besides financial my mom has been to almost every horse show and has done most of the trailering for my horses herself. She’s been there for countless vet appointments, lessons, and clinics. My mother has always stuck by my side through good and hard times in this sport, and has always supported my decisions along the way. Along with being supportive, she never pressured me to win. I remember being in tears after my first class at my first show thinking I wasn’t good enough to win. Every time I had these moments when I was younger she was always there to give me a pat on the back and encourage me that winning is not everything. The lesson I took away from that type of support was that my mother new I was competitive enough to want to get better at my riding. Even though I wasn’t winning yet, I was still getting better and better, and I think she knew that. I remember my mom telling me stories of when she used to race her families’ Shetland ponies back to the barn with her siblings. My mom has trail ridden since she was young. The first time I actually remember riding was when my mother and I would ride double on all the all-day trail rides she used to do. 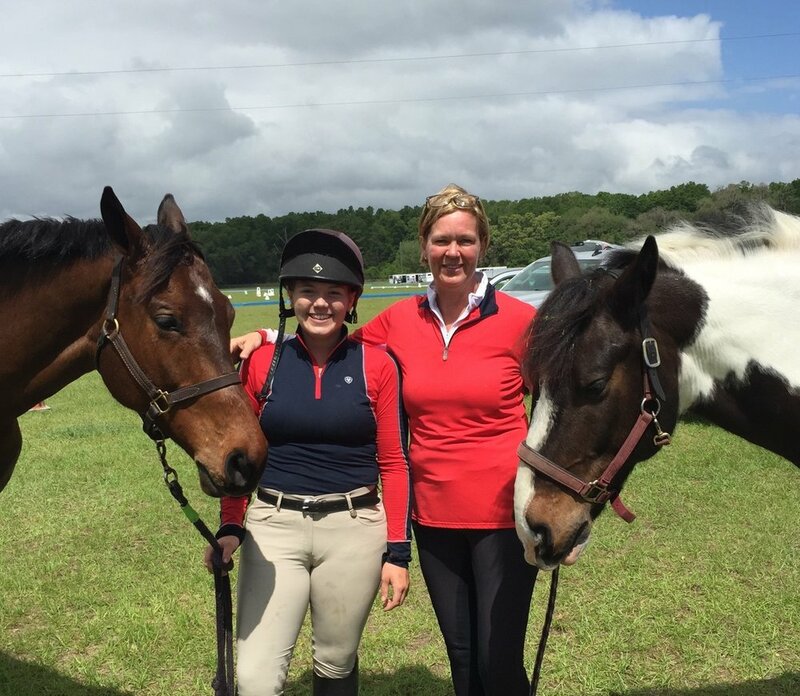 When I was thirteen I started competing in three-day eventing and fell in love with the sport. Little did I know, that my mom fell in love with the sport too. 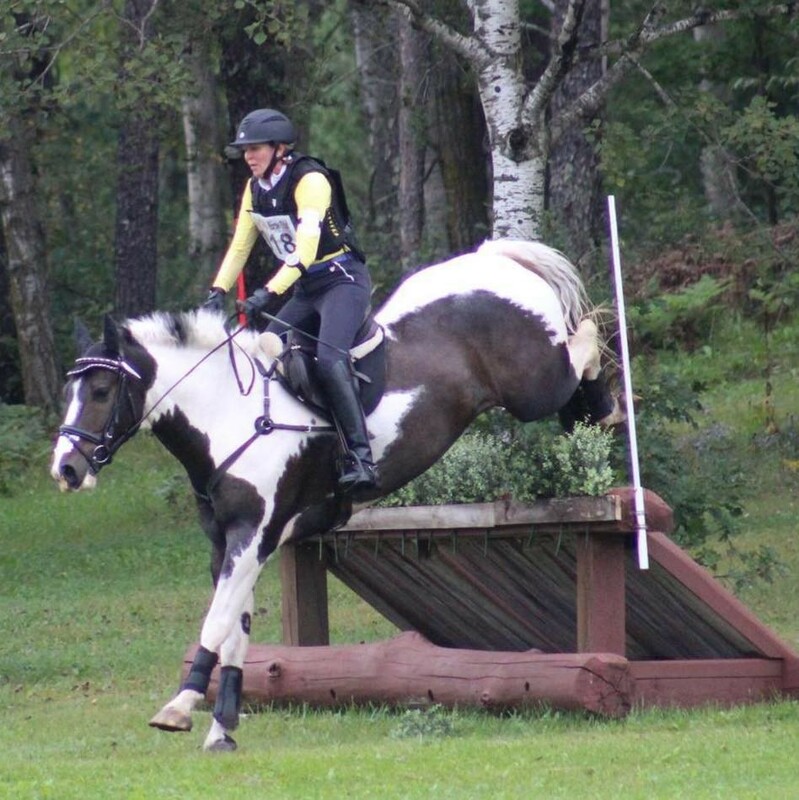 She started to take jumping lessons when she was 50 years old and hasn’t quit since. My mother now has evented through training level with her young horse, Mac. She has proven her bravery time and time again through her riding and everything else she does in her life. Not only is my mom an equestrian mom, but now she is a true equestrian herself. Throughout my riding my mom has been fully supportive, has never wanted to pressure me to win, and has also started to compete in eventing. In all aspects of my mom, well, being my mom she has truly inspired me. Now when we see each other we will always go for a ride together or sometimes even end up competing at the same event together.